Here is another sensor that helps make your connected home even smarter. 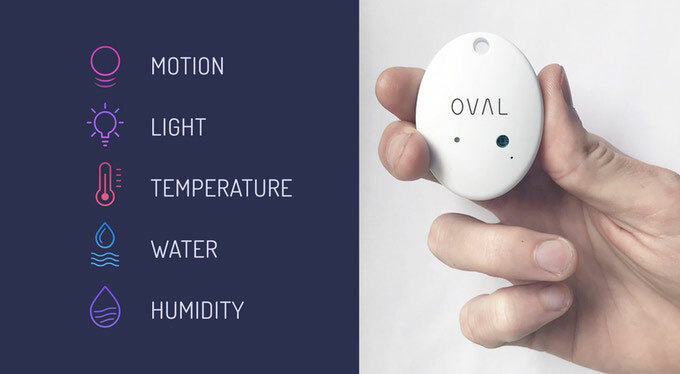 The OVAL 2.0 connects to your smart home products and monitors changes in motion, temperature, humidity, light, and water. It works with Google, Amazon Alexa, and IFTTT. The OVAL app allows you to check on your sensor from your phone. With the wireless gateway for the device, your sensors can communicate from up to 150ft. Expected to ship in fall of 2018.